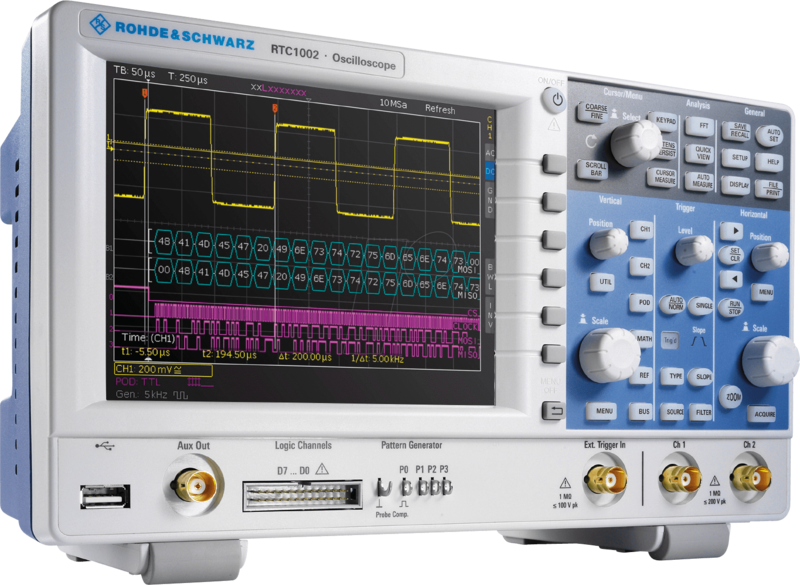 High sensitivity, multifunctionality and a great price - that is what makes the R&S®RTC1000 oscilloscope so special. 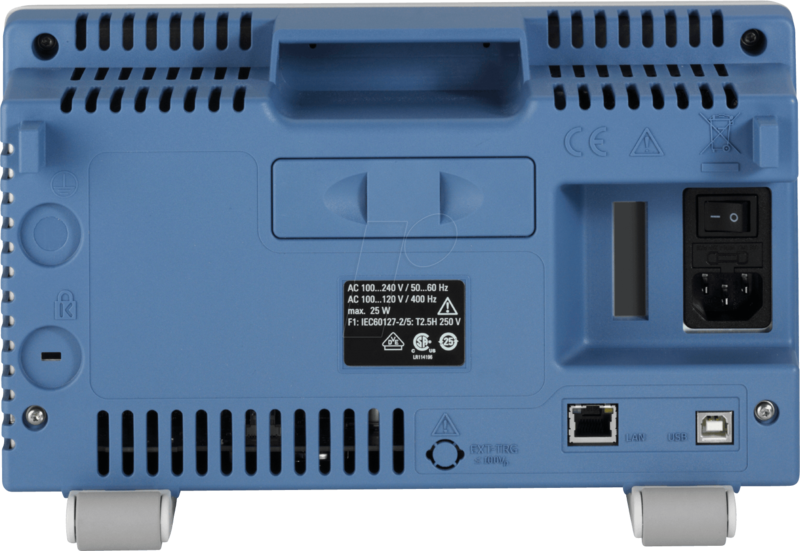 From embedded developers to service technicians to educators - the wide range of functions address a broad group of users. 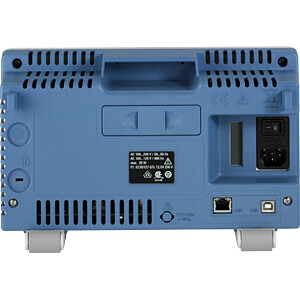 State-of-the-art, high-performance technology in a fanless design meets the high requirements of today's customers. 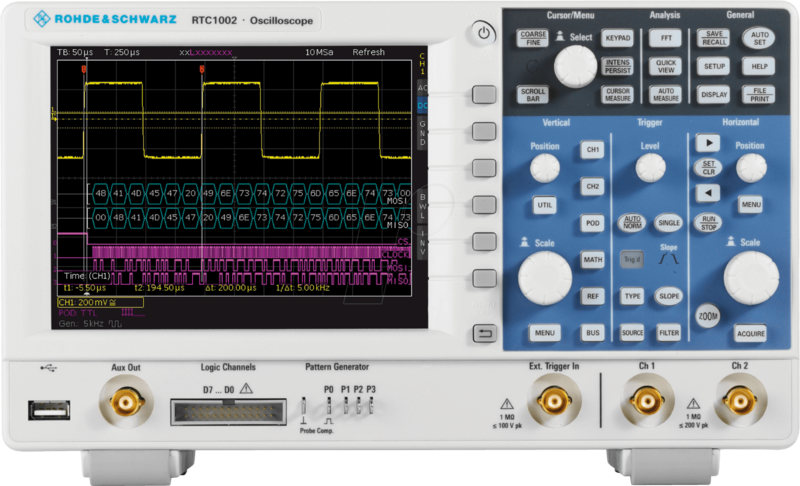 With a sampling rate of up to 2 Gsample/s and a memory depth of up to 2 Msample, the R&S®RTC1000 oscilloscope excels in its class. 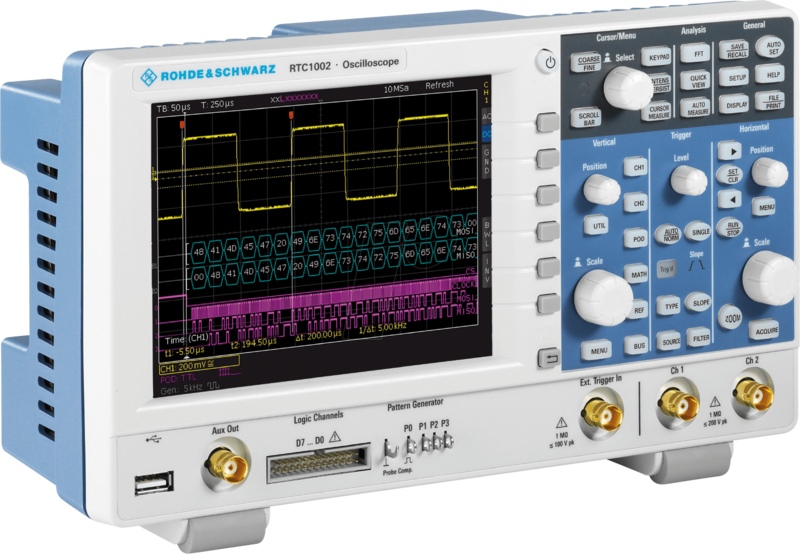 A waveform update rate of more than 10000 waveforms/s ensures a responsive instrument that reliably catches signal faults. 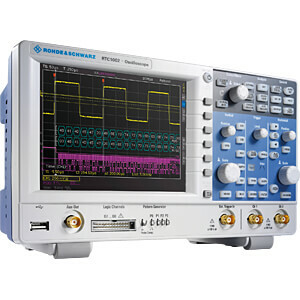 Included tools provide quick results, e.g. QuickMeas, mask tests, FFT, math, cursors and automatic measurements (including statistics). 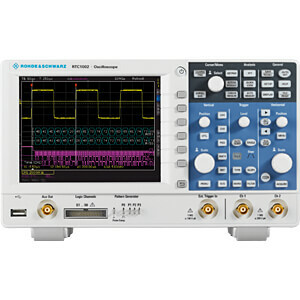 The oscilloscope captures and analyzes signals from analog and digital components in an embedded design - synchronously and time-correlated to each other. 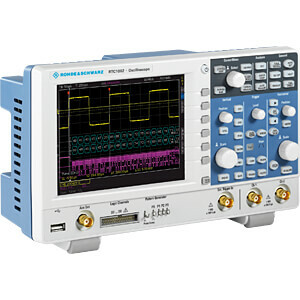 For example, the delay between the input and output of an A/D converter can be conveniently determined using the cursor measurements.